Midge loves riddles, his cat, Twitch, and – most of all – stories. Especially because he's grown up being read to by his sister Alice, a brilliant writer. But every tale has its villains – and with them leaping off the page, Midge, Gypsy and Piper must use all their wits and cunning to work out how the story ends and find Alice. If they fail, a more sinister finale threatens them all . . . 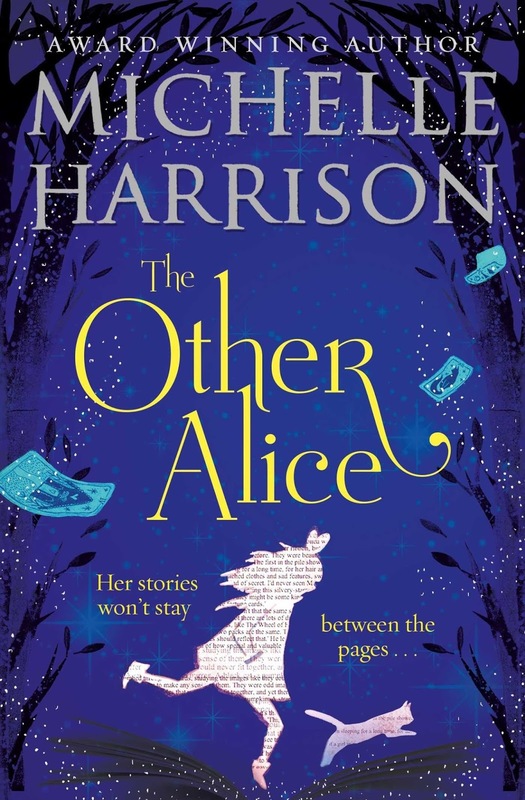 The Other Alice is a story about unfinished stories, should every book have a ending? What about all of those stories hidden away, never to get that finishing chapter, a world unloved with characters stuck in limbo, forgotten and never to see the fantasy light of day? When the magical, written world comes in search of endings and the characters manifest into a physical presence and take over your life with a deadly outcome; what would you do? The narrative will certainly grab your undivided attention like no other book. This is a fantastic story, wonderfully captivating and straight from the heart. The author sets out the world and her intention with the very first line in the book. ALICE SILVER HAD NEVER MET ANYONE WHO HAD KILLED BEFORE. It's a very dark start and leads you into an unexpected troubled world. It will certainly pull you into a vice-like fantasy grip that will immerse you on so many levels. The thrilling intensity of the plot will certainly give you the chills, even on a warm summer's day. The books influence is certainly from the author's love of reading. In my opinion, Cornelia Funke's Inkheart influences are here and leeches into the pores of the story; very subtly but particularly effectively. You will certainly plunge into the deep, creative imagination of the author in this book. The ideas, passion and the author's personality have really excitingly evolved onto paper to make this a magical story. It is very psychological and so thrilling to read with a focus on family, reality as well as make believe and one killing deranged villain. The author has introduced her love of cats into the story. It's paws a way for a talking, cheeky cat that is very infectious as a character. I really loved the concept of this story and really connect with it. I always love a dark and disturbing read that will unsettle the reader and put you on edge with every page turned. The characters are a varied mixture, very vague and in need of more work, especially in the detail department. Dorothy Grimes stole the show for me, she leapt out from the pages and would be very at home within the pages of a Darren Shan novel. This is a fantastic five star read for me; really engrossing and one of the best books that I've read so far from Michelle Harrison.